Thank you for considering OnSiteCaterer for your Indianapolis wedding reception and/or rehearsal dinner! 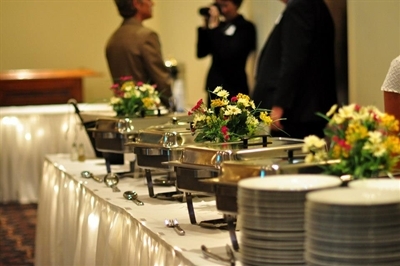 We do not claim to be the biggest, fanciest or hippest catering services company in the greater Indianapolis area ~ we simply have a passion to serve up freshly prepared food from scratch, tastefully presented, with exceptional service. Our wedding menu selections and service will impress your guests and make your event memorable! Owner and Chef Jim Dawson prepares every "made from scratch" meal personally, using the freshest ingredients from local sources. 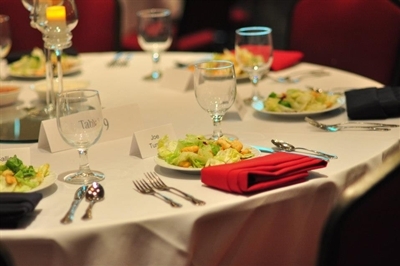 From intimate to informal, rehearsal dinners or wedding receptions, OnSiteCaterer will create the perfect menu for your special occasion. Service will be seamless, and you will be assisted in planning every step of the way... visit our website and contact us today for a complimentary consultation and tasting!